Recently I’ve been having two kinds of crafty thoughts. After spending tons of time writing these past few months, I needed a therapeutic creative outlet. And I got it. I’ve been cooking and sewing and painting, and it’s been great. But in addition to the here-and-now, the holidays are coming. Not for normal people, but for crafty ones–the ones who like to make their gifts–December is not that far away. I don’t like to make gifts just for the sake of making them. I want them to be worth my time and trouble. But it’s hard for me to tell in advance which projects are going to be worthwhile, and which ones are going to give me headaches. Because if a handmade project is going to give me a headache, well–I’d rather just buy it. 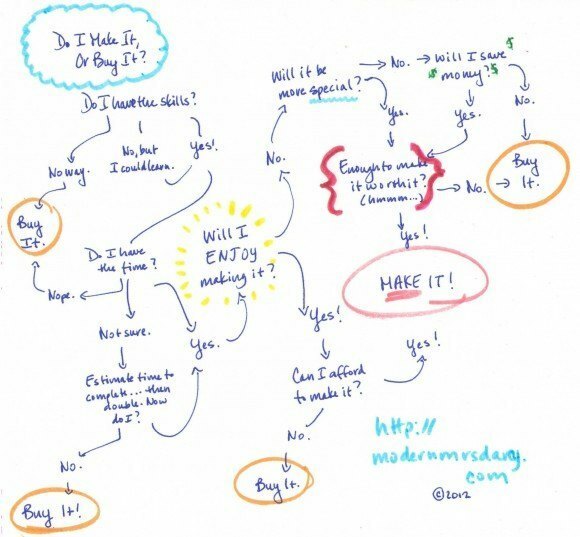 With that in mind, I’ve created this handy flowchart that helps me decide whether a handmade project is likely to be worth it–or not. Click here to download a printable flowchart. Here’s a sampling of some of the projects I’ve made recently. Some were worth making; some weren’t. Let me tell you why. 1. My sister-in-law is a Mary Kay consultant, and I thought cheerful nesting bags would make a fun and practical gift. I used the zippered pouch tutorial in Bend the Rules Sewing as a jumping off point. It was way more time-consuming and expensive than I expected. I was torn over whether this project was a “make” or a “buy.” Since I made 3, I decided it was worth making, because I was able to customize the colors and the sizes, save a little money, and put some extra heart into it. But if I only wanted to gift one pouch, I would say “buy” for sure. Verdict: Make (barely). 2. I thought this She Carries Flowers purse tutorial from Tea Rose Home sounded fun, but turned out to be a poor fit for my personality. I don’t enjoy fine detail work–and this project is full of it. The good news? 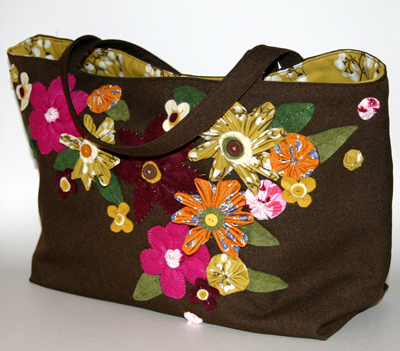 My grandmother loved the bag, which I made her as a gift. But it still wasn’t worth it. Verdict: Buy. 3./7. This is the “Flower Girl Dress” from Heather Ross’s excellent book Weekend Sewing. Make no mistake: girls’ dresses like this are cheaper to buy on a good sale at Old Navy or Target, when you can scoop them up for $8. I think the supplies on these dresses cost me $12. But my girls and I had so much fun making these. They helped me choose the fabrics and cut out the pattern pieces; my 7-year-old even sewed some of the seams on hers. Sewing each dress took less than 2 hours, and now they have high-quality, custom creations–right down to the extra-long hems–that they had a hand in making. Verdict: Make. 4. I’m in love with this hooded towel and washcloth pattern from the Purl Bee. It’s a little more expensive to make this than to buy it–the supplies cost about $12, and you can pick up a hooded towel at Target for $10. But this set makes the sweetest baby gift, and it’s so much more special when it’s handmade. We made the above set last week for the brand-new baby across the street. It’s not hard to sew–it’s all straight lines–and it only takes 60-90 minutes start-to-finish. Verdict: Make. 5. I read how to dye your own play silks on Simple Kids right before Christmas last year, and knew my kids would love them. 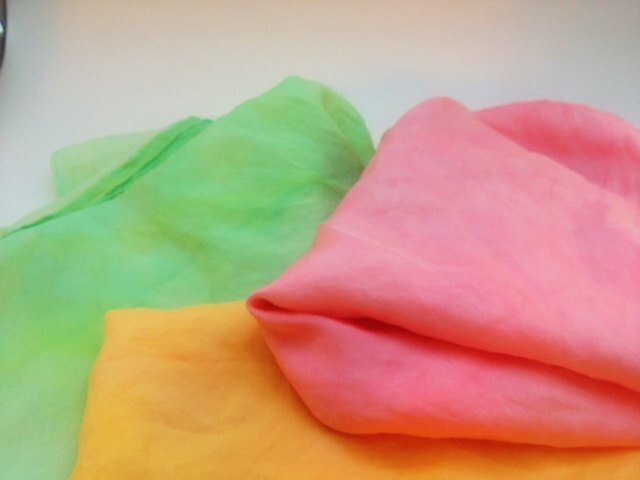 I dyed some with food coloring and some with Kool-Aid packets; both methods turned out gorgeous play silks that my kids have been playing with regularly ever since. It was fun; it was easy. It wasn’t until last week–when we visited a new toy store in our town–that I realized just how much it costs to buy play silks. $15 a piece! I paid about $19 total to make 7 for my kids. Verdict: Make. 6. I wanted to make owl rice heating pads as stocking stuffers for my kids, who have enjoyed sleeping with tube socks filled with rice for years. These owl rice heating pads are charming. They’re fun to make and to give. You can make them from scraps, which means they’re inexpensive, too. I’ve never seen them in stores. And did I say charming? Verdict: Make. Have you attempted a handmade project that turned out not to be worth making? What was it? I live more than an hour’s drive from anyplace worth shopping, so I end up making far more than I would if I had access to a Target or a mall. This is my fav project I’ve done in a long time. I bought a package of mixed wooden beads at Wal-Mart and had enough for 20 of these bad boys. 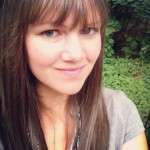 Bekki, those are super cute! These are some great ideas. 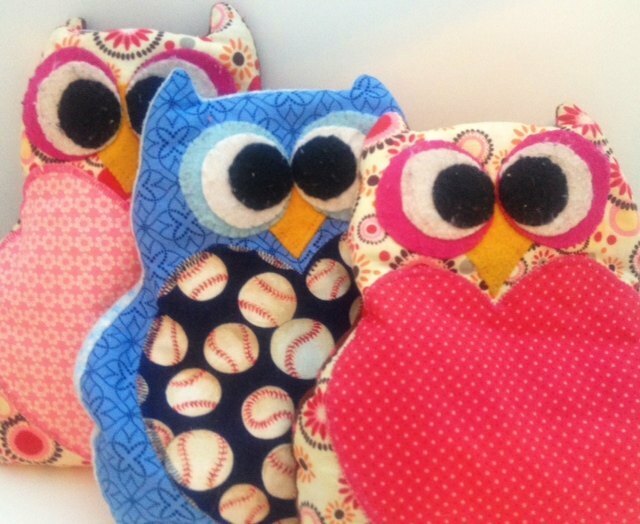 I usually make plain, square heat bags, but these owl ones would be lovely as gifts. Thanks for the inspiration! Since I’ve only recently taught myself how to sew (as you see from Instagram haha), I’m not sure if anyone would really WANT something homemade this year, although I certainly appreciate the work and thought that goes into those types of gifts. Last year, I infused my own vodka (I’m a Russophile) several months ahead of Christmas by sticking a cinnamon stick into high-grade vodka and then separating it into cute little bottles for my siblings. 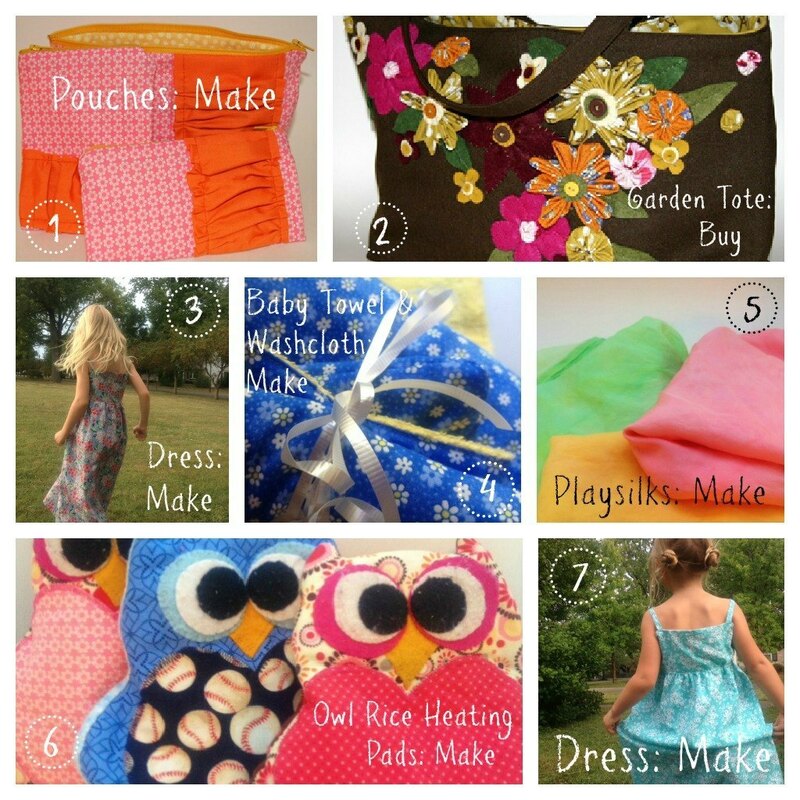 Cute projects, and I love your “Make or Buy” chart! I don’t do sewing stuff, like at ALL, but I always find myself dabbling in other crafty things, so it will be useful as I consider this year’s Christmas gifts. Loved the website with the baby towel idea on it. I had never been there before. Thx. 🙂 And I made 12 of those owls for Christmas last year. My two youngest sleep with them. 🙂 Adorable little things! CUTE! I want to make those owls too. 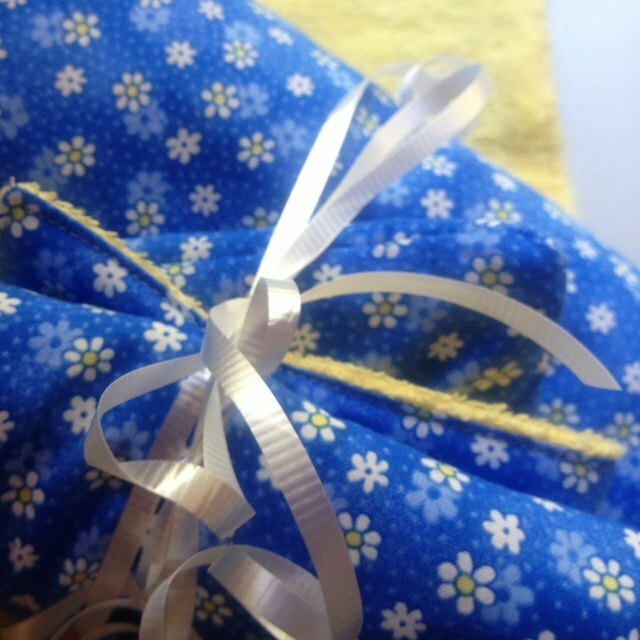 I need to learn to sew – about all I can make right now are dolls’ clothes! That sounds like smart advice to me! This is a great chart! I’ve been kind of surprised in the past by where some things fall on the make-or-buy scale. Every year I make 600-800 cookies, and give them all away. I’ve done the math, and it usually is about $130-140 of ingredients and packaging, but it ends up making about 20-25 gifts, depending on the size of containers. So I figure it’s about $5 a family that we give cookies to; but for me it’s totally worth it, because I LOVE baking so much. And if I ate all those cookies myself, I’d be a whale. Love it. Thanks for bringing in the baking angle! Ha! A make or buy analysis — finally a use for my project management classes. I’ve made things before and then realized that packaging and shipping cost way more than buying something at a store. I love those silks, my 20 month old would play with those all the time. I’ll have to make her some. Plus, reading that link more, I think I may have solved my Halloween super-hero cape dilemma! Great flow chart, Anne. If I had to choose between making one (a flow chart, that is) or buying one, I’d just come back here and use yours for free. What a great flowchart! I usually prefer a pro/con list myself, but this is impressive. 🙂 As some point in the relatively near future I plan on having children, and I want to be well-informed…so I have to ask–what is a play silk? I thought you were going to say that in the near future you plan to have kids and this flow chart is a good tool for deciding whether to go ahead with that plan. I love flow charts like this! I am not a particularly crafty person, and your questions are the sort I ask myself before I buy a single supply. It sounds like your play silks were very worth the time and effort! 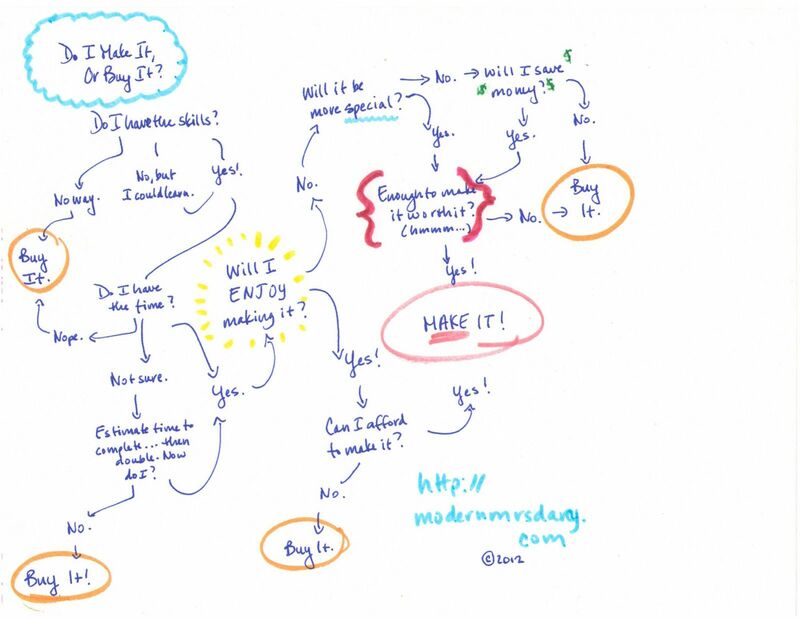 Love the flowchart! Those are some great projects, too. I still can’t believe I made two cloth busybooks for my nieces-in-love. I didn’t anticipate how much detail work there was, nor how much time it would take me. Not cheap either, though they count as both Christmas and birthday presents which helps. But, and it’s a bit But, they’re priceless gifts that the girls love playing with and will treasure forever, just as I love the one my aunt made for me 30 years ago. Worth it in the end. I just won’t be making another one for any other child in my life! I sew a lot. I can make a dress like that for around $6 if I buy the fabric, or less. Try using thrifted or garage sale or hand me down sheets, fabric bought at 60% off, etc. An expensive dress at home runs me $15. A regular dress costs me around $7. Plus, what they’re offering at Target right now is not my style, so it’s an extra bonus for me when I make my own! I love everything in this post. I’m so glad you did a chart and shared it with us. 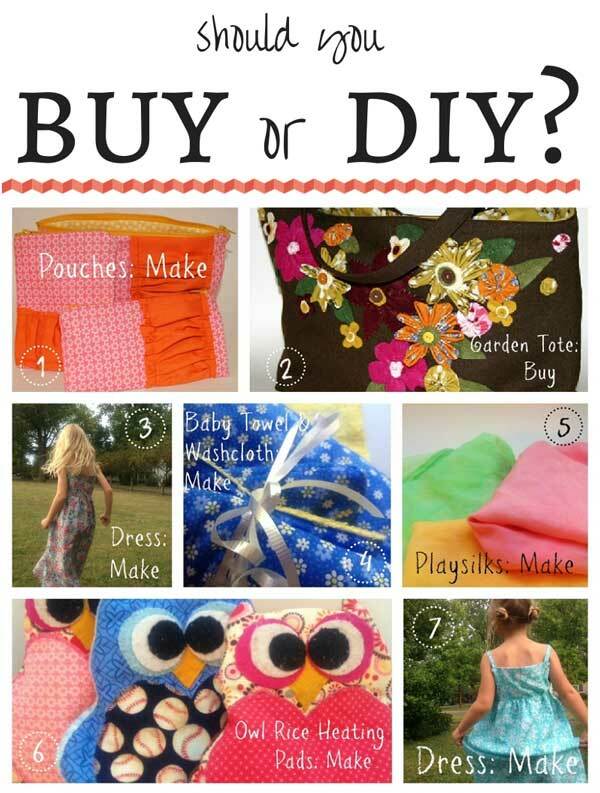 What a great idea to re-think each craft you make and see if it’s worth it to make it. I need to do this more often! The one thing I’ve made that would have been cheaper to buy was a throw blanket for our couch. However I liked that it was exactly what I wanted. I’m sure there are other things too…I just can’t think of it now! Weighing the pros and cons of making something yourself is so important. I always choose to make something myself without really thinking it through, and when the project isn’t enjoyable or extra special, it does end up feeling like a waste of time. I like your handy flowchart- and absolutely love the owl rice packs! I made my husband’s anniversary gift this year. It was map wall art inspired by the three states we’ve lived in during the two years we’ve been married. (I wrote a post about it here: http://www.catholicnewlywed.com/2012/08/anniversary-gift-mapping-your-love-story.html ) It’s one of the first things I’ve actually attempted to make myself and I think it meant so much more to him that it was homemade (plus money is really tight for us right now and it cost less than $20 total). I really am hoping to learn to sew, your projects are so inspiring! Pingback: DogFur and Dandelions » 62 Months, and other news. Love this chart. I’m referring back to it before the holidays come up too quickly – that time of year always comes sooner than I think. 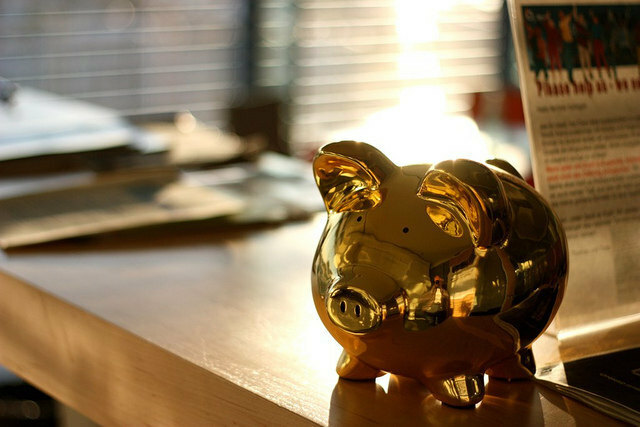 It’s important to remember what’s worth your time and what isn’t when it comes to how you spend the holidays. I don’t want to be too exhausted to spend time with them just because I wanted *everything* to be homemade! I have been sewing for a good 25 years, so I tend to opt toward making things. I make teacher’s gifts, a lot of my kid’s wardrobes, some of my work wardrobe and pretty much all baby gifts. For me, yes, I could buy it cheaper. The quality would not be the same and I wouldn’t be subsidizing children working in some 3rd world country making my kids’ $3 t-shirt from Old Navy. Last week I made my girl a 14 piece wardrobe (posted on my site). If I didnt know how to sew well, then I’m sure I would be buying. Since I can…I do. Other crafty things…sometimes I just like the challenge of trying! I made some gifts for my mom and aunt last year that were something I never tried before. I am sure I could have bought it for the same price as making, but I wanted to do it. I think it means a bit more when you put the time in to make things for those that you love. Wow, Stacy! I love the wardrobe, and am so impressed by the hoodie and swimsuit especially. Well done! Love this, Anne! 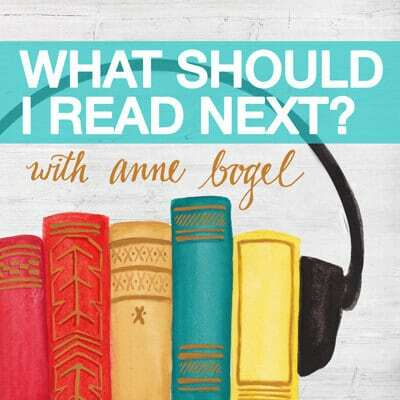 I’m going to have to link to this for my SHm readers. One question, can you repost the owl link? When I clicked it, it took me to the SK post. Awesome flow chart! As an Etsy shop owner/crafter I often feel like people think “Oh I could just make that, why buy from you?” They just don’t realize how much time goes into making something! And sometimes, the supplies you need just to make it aren’t worth it just to make one or two items. I am a bargain hunter at heart but now I don’t have time to do it much anymore. So the Day after Thanksgiving and tomorrow I will shop till I drop. I have a simple project my oldest son and I are doing tonight a knot throw made from fleece. He is so excited. If all goes well I may make personalized pillows and a few more knot throws for Christmas. I also got some pine cones yesterday and am looking into what can I do with these. Right now they are making my house smell good for free. I really enjoy this idea of a flow chart. My husband is upset about the numerous projects I have lined up in the garage. I started a sewing projects with my daughter this Summer but my machine broke I took it to the repair shop and it came out of the car with another piece broke off. I need to take it back in to have it repaired again so a lot of my projects ended up on the back burner. I started refinishing projects instead and then due to have company over they ended up back in the garage. I have trouble limiting myself to projects I can finish in a certain amount of time. The quilt for my nephew’s son ended up taking me two years to finish. Partially because I cannot use my hands anymore for the hand sewn parts of the quilt. I guess I need my own flow chart and pay attention to the can I physically do it and do I have the time to finish it a realistic amount of time. the magazine and newspapers to offer discount privileges. time to advertise their sales. should check the deals online on daily basis to get updated. The amazon marketplace deals tendency in advance of the next buy. offering these promo codes or discount coupons to their customers. o Hypertension-more than 20% of Hispanic women have high blood pressure. Knowing the common diagnosis and the common treatments will ready you for the practice scenarios and testing mega codes. 100 calories of sugar is less than what is contained in the average can of soda.